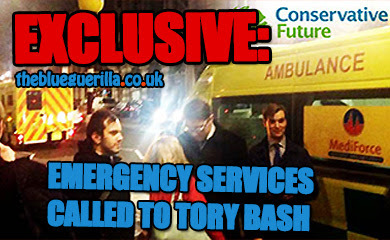 TheBlueGuerilla: Tory HQ Pull Plug on Conservative Future. 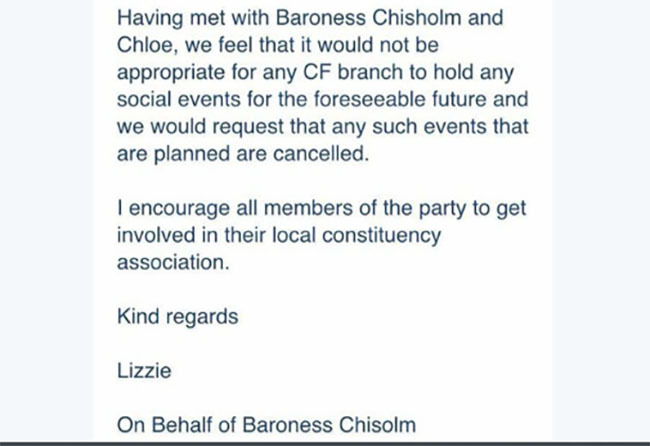 SOCIAL MEDIA has gone crazy with the announcement that Tory HQ 'grinches' have demanded all Conservative Future (CF) branches cancel upcoming social events IMMEDIATELY. The decision, which was emailed to CF branch and regional Chairman yesterday afternoon, follows the suspension of the entire National CF Executive last month. The move, which was reached in an emergency meeting of the party board, followed the tragic death of a Tory activist. The former National Executive have been criticised for not addressing bullying within the party, following the life expulsion of former CCHQ 'Director',Mark Clarke. 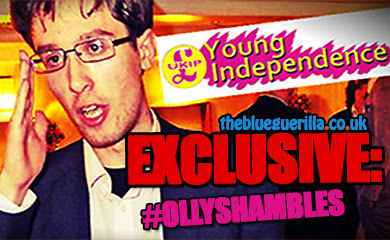 Mr. Clarke denies all allegations of bullying, as do the CF National Executive. However, TBG has heard from multiple sources that intend to fight the 'ridiculous' HQ ban. 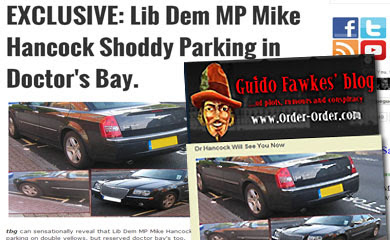 One activist told this blog: "No offence, but who on earth are these people attempting to ruin all my hard work? I've built my branch up from scratch and have never overseen any dodgy activity. We've all done nothing but slave away for the good of the party and I'm being told me and my team can't go for a pint at the Red Lion in case it suddenly turns into some mosh pit? Do me a favour!" Another Southampton based member said: "I've just had to cancel a little get together me and other activists were planning. It was to celebrate our hard work. I've not even met the suspended National Exec, why on earth should I have to suffer because of a few bad apples. This is unfair. I've had to put my reindeer antlers back in the cupboard." One CF member went so far as to brief the National Press with his decision not to listen to Tory HQ. Outspoken Liam Walker of Witney, who was last week dragged into the bully row following leaked emails from 10 Downing Street to The Sun Newspaper told The Guardian: "While we recognise it has been requested that Conservative Future branches cancel any forthcoming social events, the Witney CF Christmas Curry this weekend will still be going ahead. Christmas is a time to get together and celebrate with friends and colleagues which is exactly what we intend to do." Another member who wishes to remain anonymous told TBG: "I just want this madness to be over. I feel like CCHQ have literally left me out in the cold. They appointed Mark Clarke, they ignored our complaints. Yet, somehow, my little local branch has been told to disband all further activity. 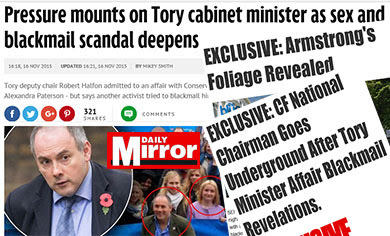 CF isn't perfect, but it's the fact CCHQ are passing the buck, as if to blame the naughty kids. When will they look themselves in the mirror?" It is a little draconian if you ask me. Also extremely unfair on so many branches out there who were nothing to do with the scandal. Does anyone know if the National Executive have done the decent thing and resigned from the party?